Last week I used up considerable space lamenting the dreary Middle Eastern food at Logan Square's Masada and its inverse relationship to the elaborate and lysergic decor. I've also spent considerable time over the last few years whinging about the overall decline in Middle Eastern food in Albany Park, once a bastion for the stuff that has long since ceded its preeminence to the southwest suburb of Bridgeview. 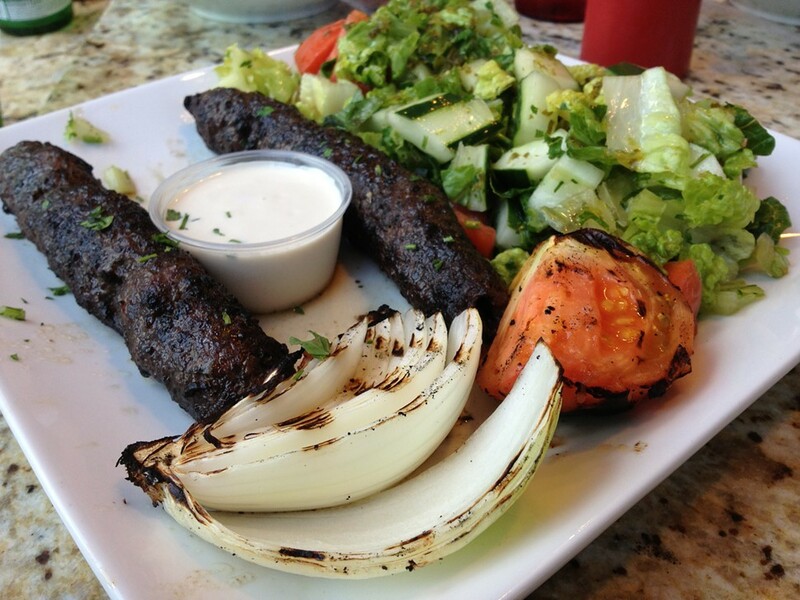 One of the final nails in the coffin was the fall of Dawali, a relative latecomer to the neighborhood which started out promising enough in its spartan strip mall storefront, eclipsing all the older stalwarts, like Salem, Al Khaymeih, and Semiramis, with fresh, well-made standards from a culinary school grad, who made things look as good as they tasted. But once Dawali opened a Lincoln Park satellite a few years back things went downhill. The food lost its luster, and it was no surprise when the Albany Park flagship closed earlier this year. 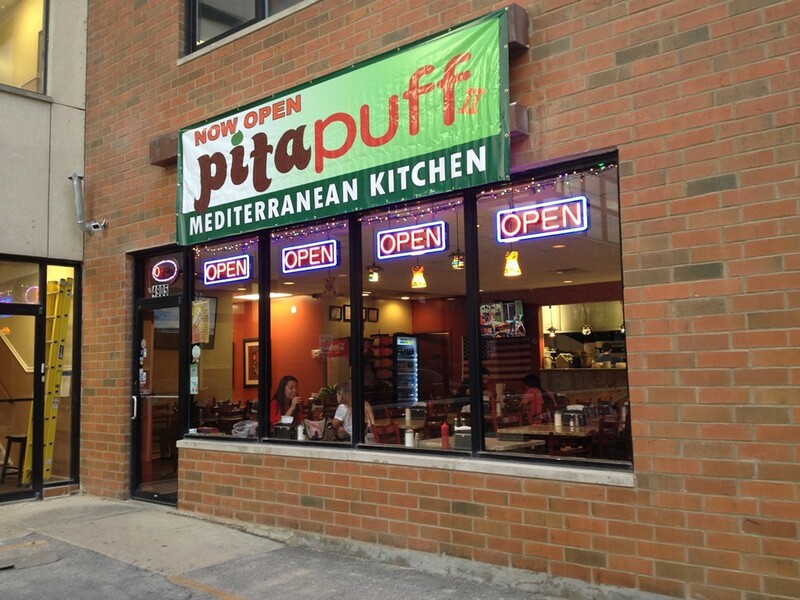 The good news is that the space was quickly occupied by the folks behind Pita Puff, an Elgin Middle Eastern joint that makes up for its meaningless name with the same sort of vibrant, prepared-with-love food that Dawali pushed in the very beginning. In fact, the menu itself is virtually indistinguishable from Dawali's, featuring all the typical salads, mezes, sandwiches, kebabs, and spinach, lamb, and cheese pies you'd expect from any restaurant on Albany Park's stretch of Kedzie, with the addition of vegetarian dolma and an assortment of burgers, including an intriguing banana, nutella, honey, and peanut "sweet burger" which I'll have to tell you about another day, maybe when I turn five. 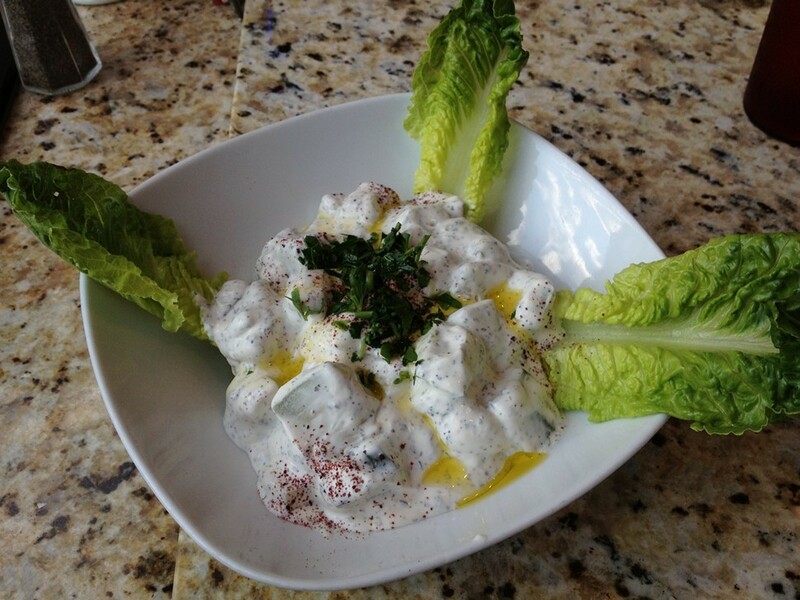 Take the very simple cucumber, mint, and yogurt salad. Perhaps it's at its peak right now that cucurbits are in high season, but these huge cuke chunks are incredibly juicy, smothered in thick, bracingly tart yogurt, dusted in sumac, and radiating romaine leaves. 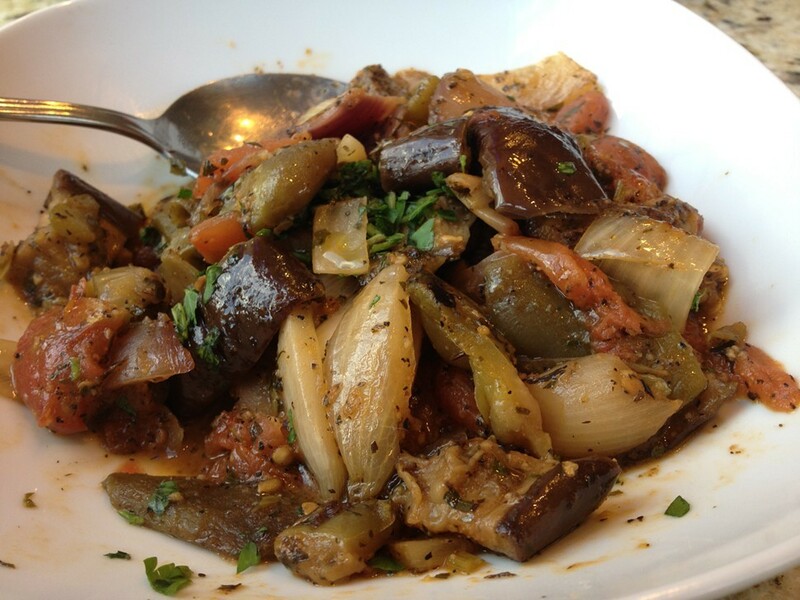 The masaka ($5.75), a hot, grilled vegetable salad of peppers, onions, tomatoes, eggplant, and zucchini takes on the kind of caramelized sweetness that only low-and-slow heat can provide. 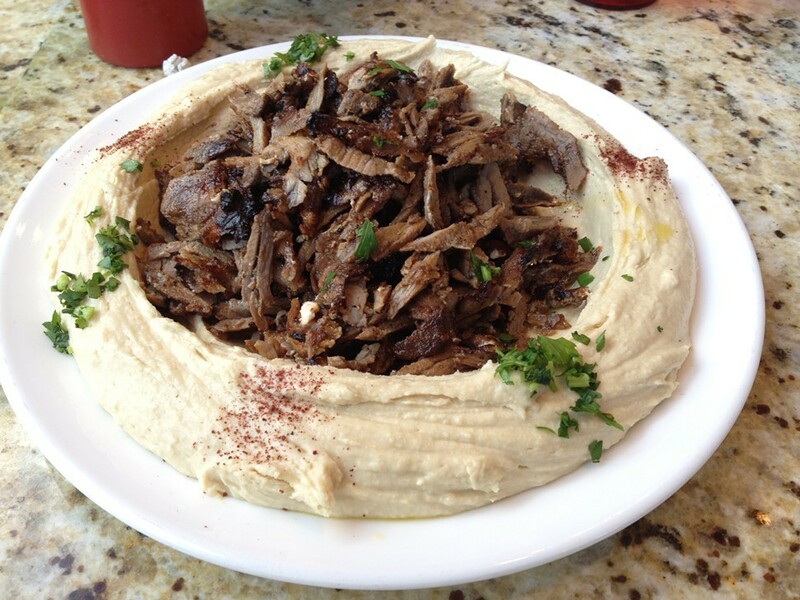 The hummus and shawarma entree ($9.25) is a yawning crater of dense chickpea puree, filled with shaved lamb and beef bits, while the kefta kabob (two actually) is an all-beef onion and parsley matrix that takes on a nicely smoky char ($10.95). Like the early days of Dawali, Pita Puff offers quantity without diminished quality—with the unlimited pita bread offered you can stretch a few dishes into plentiful leftovers—at very friendly prices that could only be achieved in a humble storefront, without the cumbersome overhead of belly dancers, tiled mosaics, and disco balls. 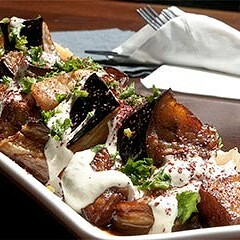 Food takes a backseat to the spectacle at this Middle Eastern boite.